A sacrifice that altered the course of time. In 1999, Arthur Penn was a veteran, a student, and a sucker for a lost cause. The sucker part got him in trouble when he rescued an old man from an ambush and carried him to a hospital, but he didn’t expect the trip to take him 500 years back in time. He didn’t expect to find himself fighting off an amorous girl a century before the Pilgrims landed, and he certainly didn’t expect to be drafted into a bloody war raging across a thousand human centuries. Beautiful women. Brave men. Lonely machines. Terrifying aliens lost in a tunnel that connects every point in space and time. A ship that sails a universe so immense it can’t be described with human words. A lady who wants to be a mother. A true woman with a disturbing talent with an ax. And all hang on the courage of a hero who’d rather be in Chicago. 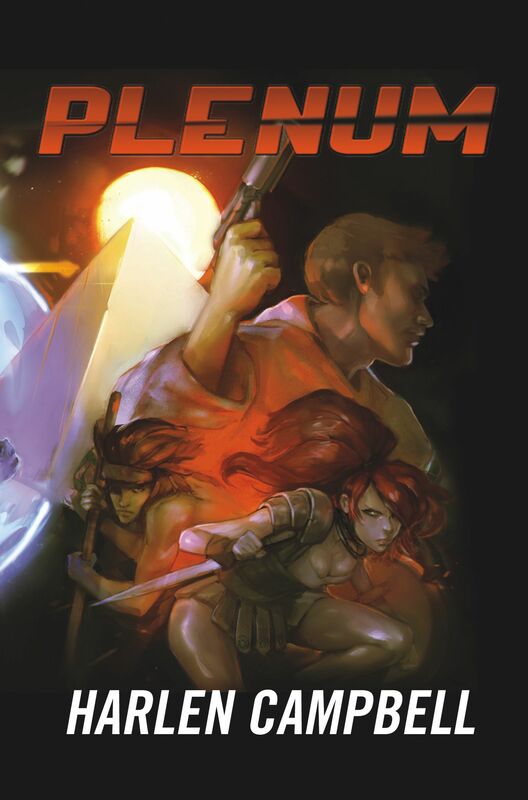 PLENUM is an epic road novel where the road stretches from a fallen time ship deep in the last ice age to a critical meeting of the Polar Council in 7296 AD and the travelers include a student, kidnapped from New York three years before the towers fell, a soldier of the Lord’s Own Infantry who died in Africa, defending the one true faith from the heretical defenders of another one true faith, a couple of hundred years later, and the daughter of a Princess of Troy who spent her childhood watching Khufu build his pyramid before she was exiled to the New Stone Age. Naturally, it includes the obligatory Knight with tin legs, a Dragon Mother with an interesting family, and a desperate battle for the salvation of the universe.